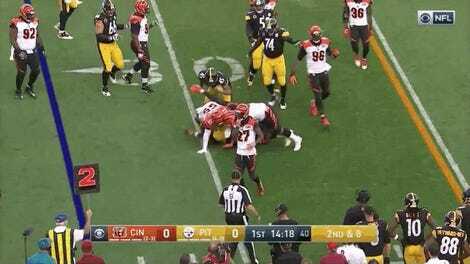 Whenever the Bengals and Steelers meet, things inevitably get ugly. 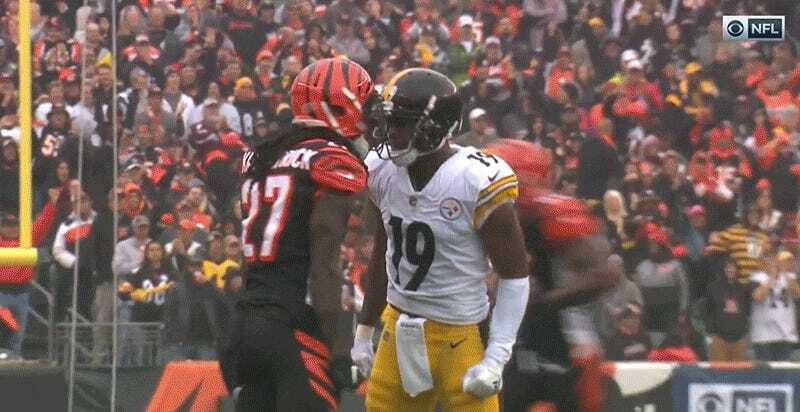 The worst and most hallowed AFC North tradition is the biannual (God willing only biannual) yelling match between these two teams, and Dre Kirkpatrick and JuJu Smith-Schuster got things started early today with a little scuffle. Props to Kirkpatrick for making a helmet flail look like a weird little bow. We’ll let you know when Vontaze Burfict eventually throws hands with every Steelers receiver at once.